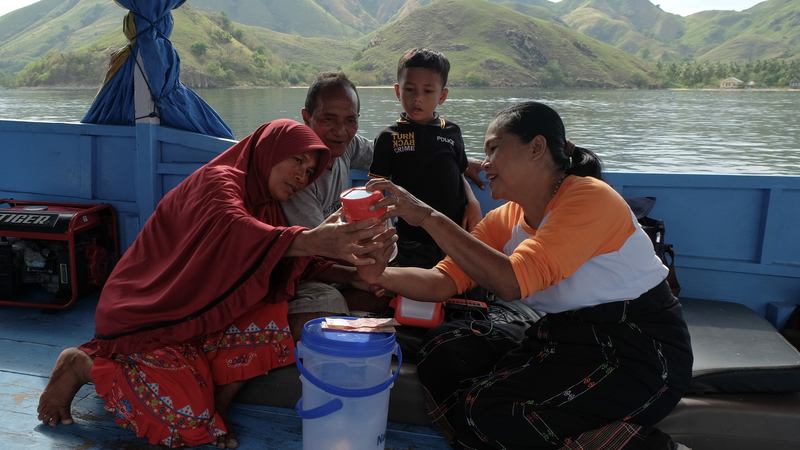 Since Kopernik first began our efforts to connect last mile communities with simple clean technologies through the Wonder Women program, people’s ability to access clean water and electricity have greatly improved. Clean energy technologies are now more widely available and accessible to communities through other organizations implementing similar distribution programs. As an organization, we have also learned that building a distribution network in the last mile is a resource-intensive and expensive undertaking. With the cost to get the technology into the hands of the users more than doubling the wholesale cost of the product, the model is not business-viable, as such high costs cannot be passed on to the user as a margin. Thanks to the generous multi-year donor support the program did generate at least $1.60 in economic returns for every $1 spent on it thereby demonstrating its impact potential, but continuous fundraising for the program is challenging and not financially sustainable. The new landscape led us to explore more innovative ways in tackling today’s challenges. We began asking questions: How can we be more involved in finding potential solutions? What are other solutions that are not yet discovered that have a potential for widespread adoption? These were the questions driving Kopernik in the past two years as we made a commitment in 2016 to initiate systematic and lean experimentation activities in finding promising solutions to persistent development challenges. Since then, our team has conducted 21 in-house experiments, which included building solar dryers for agricultural produce and working with honey farmers to increase the efficiency of forest honey collection. We have also helped more than 20 companies in developing or testing new products for disadvantaged communities. Building on this work, Kopernik sees increasing value in strengthening our lean research capacity and allocating more resources towards experimentation projects in this new year, while winding down our technology distribution projects. This includes the decision to conclude the Wonder Women program in Eastern Indonesia as of December 2018. Compared to the operationally-heavy nature of technology distribution in the last mile, an experimentation approach utilizes our strengths in data collection and analysis more effectively, while leveraging the local trust and networks that have been built to date. In the past two years, we have gained many key lessons and achievements through our experiments. A forest honey filter prototype which we developed together with farmers in East Flores has been commissioned to be replicated for wider use. A health product produced by one of the world’s largest fast-moving consumer goods companies which Kopernik assisted in testing and distributing has now been commercially launched in Indonesia. We have also conducted systematic identification of the needs of smallholder farmers in Papua, West Papua, and Kalimantan. With experimentation, Kopernik is now entering a more risky environment as we work with potential solutions and ideas in the early stage which are not yet proven. In doing this, we want to more effectively engage development peers to embrace the experimentation approach and work with more companies to develop products and services for underserved communities. As Kopernik embarks on more innovative projects in 2019, we thank you for the generous support and we hope you’ll continue on this journey with us!